Smithwick Perfect 10 Rogue Jerkbaits. 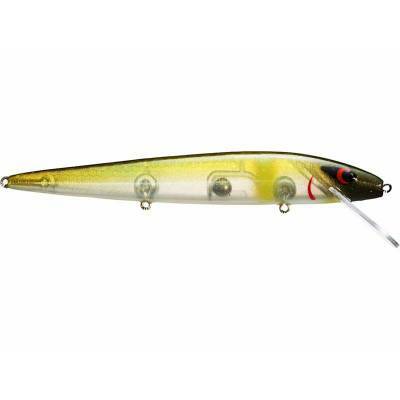 A fast and deep diving lure with an erratic, darting action that reaches depths of over 10ft. Features an internal weighting system with tungsten balls inside to produce a distinct thump and provide increased casting distance. 5.5" length. 5/8oz weight. Assorted colors available.